We have all safely arrived into Kenya, and are settling in to our cozy little cabins for the night. Tomorrow, we head out to see a Compassion center, smack dab in the middle of the second largest slum of all of Africa. It’s been seven years since I have been to this place, and I don’t feel that I am ready to think about it tonight, with my jet-lagged body. Please pray for us as we go into this slum tomorrow. It’s probably one of the worst places I’ve experienced on earth. So lets avoid the topic tonight, and let me revisit what happened earlier today. Today, while in Zurich, I woke up to multiple alerts from Facebook and Instagram. 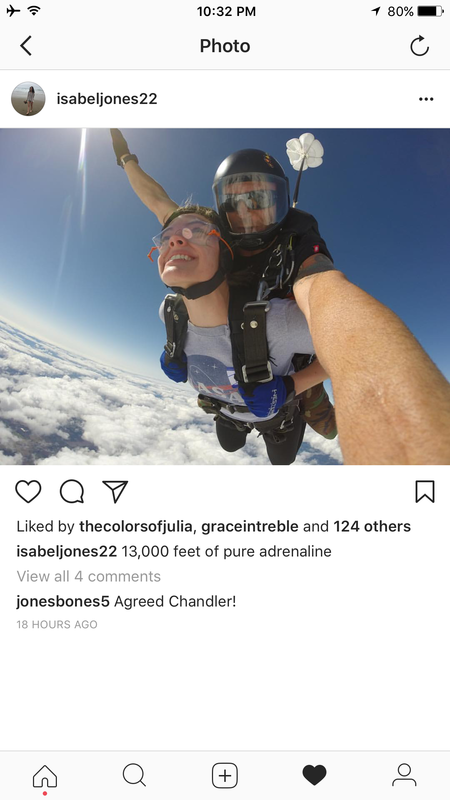 Apparently, my daughter and husband decided to go skydiving while I was away. A few months ago, in a vulnerable state, I told them they could do this, only if they didn’t tell me about it until after it happened. 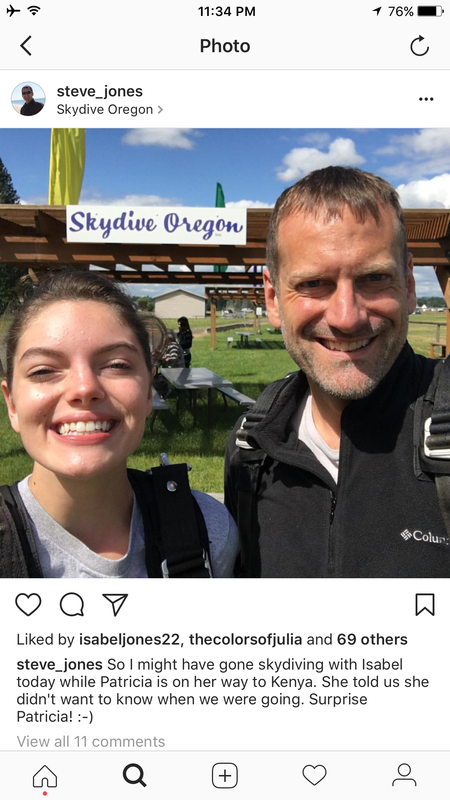 Well, I almost lost my stomach this morning, watching Isabel’s video, as she jumped out of a perfectly normal plane. Apparently, my husband had to hang on the side of the plane for a while until they found clearing in the clouds. Just thankful they are done, and alive, and its over. And I won’t agree again.